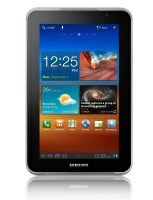 Samsung has redesigned their Galaxy Tab 7.0 Plus to sidestep the European courts' ban on its shipment in Germany. Earlier the court ordered that the Galaxy Tab lineup design is too close to that of the Apple iPad and banned their sales, so Samsung had to alter them before it could reintroduce them to the German market. 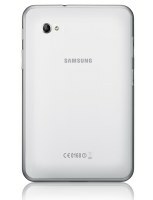 The redesigned tablet comes with a new name - Samsung Galaxy Tab 7.0N Plus and should be released later this month for the whopping 600 euro. The major design difference is the stereo speakers mounted at the front of the device. It still features the 7" PLS-LCD display of WSVGA (1024 x 600) resolution, 345g weight, Android 3.2 Honeycomb (with ICS coming later on) and the GSM/HSPA combo for true phone capabilities.